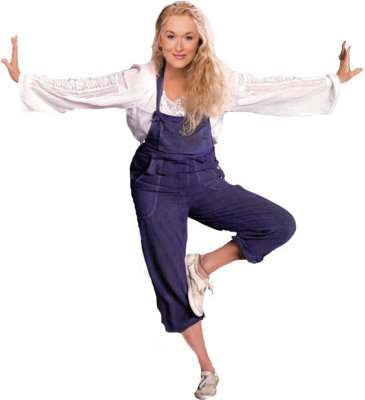 I think it would be great if we could have an expansion pack dedicated to Meryl Streep. You could have skills like learning different accents, traveling the world, fun new sunglasses, and wearing overalls whenever you felt like it. It would also be a good time to include zombies (Death Becomes Her) and also safari gear and bonnets. You could also include an active lawyer career and boating/canoeing as a skill for going down rivers, as well as witches and being able to change your appearance at a moment's notice. Of course Meryl Streep would appear as herself, much like other celebrities have appeared throughout the series, and if you are lucky she would make you a better person. Or she could demean your wardrobe and push you to the verge of a stressful collapse all while underembellishing the current weather. Would anyone buy a Meryl Streep pack? What logical reason would there for this kind of pack? @Superkyle221 I grant you she is a good actress and you are a fan but I doubt if you'll get any support after the Katy Perry pack got so much criticism. 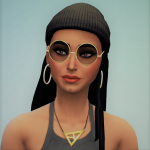 You might find that you could create her Simself yourself for Get Famous or someone could do it for you. NB: Just checked the Gallery and there are loads of Meryl Streeps. @superkyle221 To be fair, I did really like the content in the Katy Perry packs. I can't recall if I got the LE version of Showtime or the Katy LE version of Showtime, but I do know I liked the cute food outfits and stage décor quite a lot. I agree that Katy was a weird endorsement for a stuff pack, but then, so was IKEA and H&M in my eyes. I found more offense with actual branded furniture and clothing more than I did with the Katy Perry inspired clothing and objects. @TheGreatGorlon That's a really good idea! It could help us deal with townies who are dressed inappropriately. Hi @Lady_Ballora thank you for your question! So in America (that's where I live, but I want to make it clear that I know not all Sims players are from here, clearly, so that might be the source of your confusion) every citizen is a huge fan of Meryl Streep. For example, at this very moment I am jonesing for some Streep, but my only solution is to watch Mamma Mia again (I only have Death Becomes Her on VHS - that's what we had before DVDs, which is what we had before Blu-Ray, which is what we had before Netflix). This way I could spend some time with Mer-Bear in my favorite game. Plus, a Meryl Streep pack would include a lot of great CAS items, such as overalls and bonnets (I am including some pictures for reference, because I know that they go by different names in other countries). 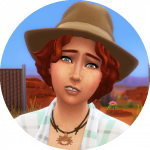 I think it would also be great if we had a system where we could have our Sims speak in different accents - granted, I live close to Canada, but really my only interaction with different accents is when I set my GPS to speak in an Australian accent - I'm not as lucky as you to live as close to other dialects - and I think it would be really fun to let Sims from different parts of the world speak in different ways - and granted, this could be a fun way for us to not only have accents in the Sims, but also let our Sims learn how to speak in different accents, much like Meryl Streep has done throughout her career. I also think that one of the areas where we can improve realism is in having Sims be able to sue one another, such as for custody of children and alimony, or also other reasons, and instead of taking a look at real-life we could take a look at Meryl Streep's oscar winning performance in Kramer vs. Kramer to get some ideas for ways to implement this that might sensitively handle the subject, or, much like Meryl herself, we could create Sims who can never be put on trial because they have no peers. It would also be fun to be part of a jury, having to sacrifice our daily lives to listen to the stories of others in order to fairly decide their fates, much like we, as an audience, had to do when we watched A Cry in the Dark (you'll know it better as Evil Angels). Also, a lot of people have been asking for witches, and as Meryl Streep has portrayed a witch in Into the Woods (yes, I know that Bernadette Peters originated the role), that would be a good way to introduce it, and it would also open up ideas of playing with morality and reversing the ages of our characters. It would also allow us to make foxes into playable characters, and I'm sure that nobody would say no to having worlds that are similar to Paris, Ireland, Africa, Australia, and Iowa. Really, I think this would appeal to so many people that it would be a foolish idea not to do this. 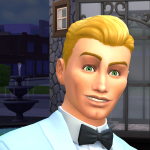 I mean, not only would every existing simmer want to play it, but it would inspire people who do not regularly play the sims but also people who do not play the sims but who have ever seen a movie (for example, people who vote for the Oscars; people who watch the Oscars; people who have never watched the Oscars but who still watch movies; people who have never watched the Oscars and who do not watch movies, but who were nevertheless forced to watch The House of the Spirits against their will and who found themselves enjoying it because of Clara; people who are fans of Carrie Fisher and her relationship with her mother Debbie Reynolds; and just the public in general who has ever seen a movie). Plus, think about how great it would be to add another channel to the television (a Meryl Streep channel) as well as a new radio station (songs Meryl Streep has sung in movies). As you can see, it would be a great idea and lots of people, both diehard simmers and people who don't play video games but who love Meryl Streep because they are alive in this world, would purchase it. 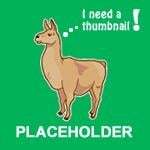 Hi @friendlysimmers! I can totally see why you are hesitant. The difference is that Katy Perry is just the sister of the guy who played Chandler in Friends, while Meryl Streep is a beloved icon who has more Oscar nominations than anybody in history, and should have more wins than anybody in history, but the academy is playing it coy. Plus, there are so many things that are associated with Mer-Bear that could be included, whereas it's much harder when it's a family member of a celebrity. Thanks! If you have any questions or ideas, let me know how we can improve this great pack idea! I appreciate your idea, but I have no idea who Meryl Streep is, since I'm not from the US I guess. For my likings, I'd rather have a Farming Expansion with nectar making, farm animals, canning and off the grid living. Hi @Simburian! 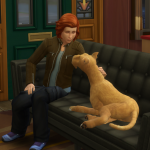 Thanks for sharing those images on the gallery, those will have to tide me over until they come out with the actual Meryl Streep pack. 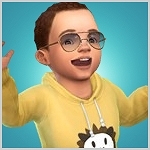 It is completely honest why a Katy Perry pack would have gotten criticism - I know the Sim gurus have a great reason to include people who they include, though I have to admit that I don't understand why they would base a pack entirely around the sibling of an actor from a TV show. I think that a Meryl Streep pack would include lots of gameplay and also CAS and buy and buildmode objects that would really enhance the game, like ownable hotels (for sims who want to go on vacation) and also being able to control what happens in your town (as Mer-Bear did in The Iron Lady) or making the espionage career active (as she did in Angels in America). Hi @FreezerBunnyCowplant, and thank you for your comment! Obviously this is not a joke. I think, though, that what you want would obviously be included in a Meryl Streep pack. Farming and farm animals (Out of Africa, which would also include marrying wealthy landowners in marriages of convenience), living off the grid (Sophie's Choice), and nectar making (I mean, it's Meryl Streep, she could drink wine for breakfast if she wanted to, plus this pack would OBVIOUSLY include a sims version of Paris because of Julie and Julia) would all be included in this pack, plus it would make people more likely to buy this. I know lots of people who don't play the Sims but who would be willing to pay upwards of $120 to spend more time with Meryl Streep, so not only would this have all that you ask for, it would have more and be hugely profitable to EA. If we did have famous people themed packs I would prefer Daniel Craig or Harrison Ford as characters in a Danger/Spy or SF themed pack myself! Sorry. [email protected] citizen is a huge fan of Meryl Streep, I'm from America and I can't think of the last time I "jonesed" for one of her movies I know we each may have a favorite celebrity..she is not even on my list, I only clicked this post because I literally thought it was a joke..can't imagine Maxis making a pack about her, would be one pack I'd forego. Hi @ChadSims2 it sounds like you're thinking of Meryl Burbank, who was played by the very wonderful Laura Linney, but I agree, that character isn't very much fun and if all her characters were like that I probably wouldn't want to see any films with her in them either. You should track down the Tales of the City miniseries where you'll see Laura Linney is a much more likeable role - you should read the books too (they're obviously better) but when I went to San Francisco a few years ago and I went to where parts of the miniseries were filmed I definitely teared up. @brenleedee Thanks for the information about Katy Perry, I'll look her up. I've never heard of her before (I mostly listen to punk or folk music). @superkyle221 It's one thing to help a celebrity up the ladder of fame a bit, it doesn't cost much. Katy Perry was not so much of a huge star all over the world that she is now when she ok'd it. I doubt if EA could afford another Katy Perry type pack these days, much less Meryl who likes to keep her herself private and she wouldn't like this kind of thing. She would have to be approached for her permission through her agents. She doesn't need it. 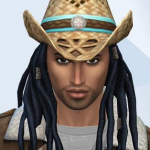 The cost of a top of the list celebrity would probably bankrupt Maxis' Sims 4 budget. Leonardo di Caprio still gets about $20 million per film, Jennifer Lawrence $10 etc. 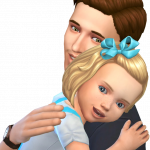 Money best spent on more Maxis employees for better game packs. This thread is absolute gold! I tolerate her. My mom hates her, my son (24) has never heard of her. I also will add my voice to chorus of those who would prefer not to have any celebrity branded pack. Respectfully yours from Washington State USA. Hi @Pamtastic72 I'm sorry your mom feels that way about Meryl Davis. I never watched Dancing with the Stars but I heard her win was controversial? Where in Washington do you live? 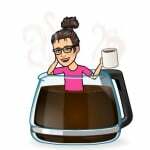 (I myself live just outside of Seattle, but I've also lived in Bellingham and have spent quite a bit of time on the peninsula). Are you sure your son has never heard of her? What about when Ellen gave her pizza at the Oscars? Or when he watched Big Little Lies? Or gone to the film festivals at the Egyptian? If not he should at least watch The Devil Wears Prada - it's one of the few adaptations that really improves on the book. I don't think of this as a branded pack (there would be no cattle included) just a pack that features her and takes inspiration from her many film roles. I don't think this is too much to ask - I think that including moral choices would make the game much more realistic. I think Meryl Streep is a very talented actress, but I don't think I would want a pack based around her or any other celebrity for that matter. It just doesn't really appeal to me sorry. Looks like we have a new Colton147147 but Justine Keaton is better than Meryl Streep. 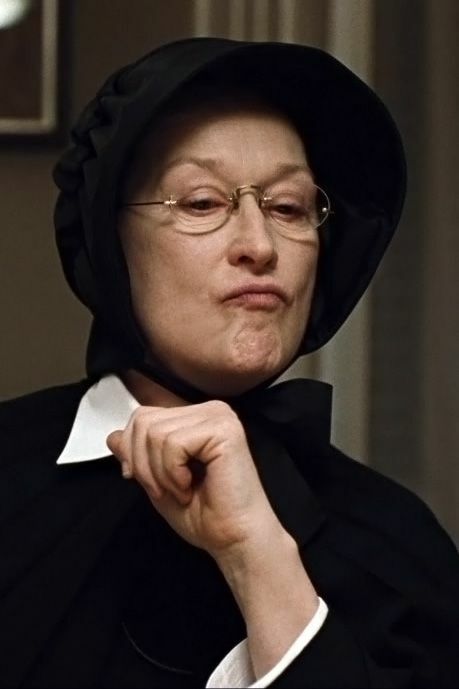 Meryl Streep EP 2019 - so versatile, so fresh, so Meryl.